Home » Are Gaming Glasses like Gunnar Worth It? 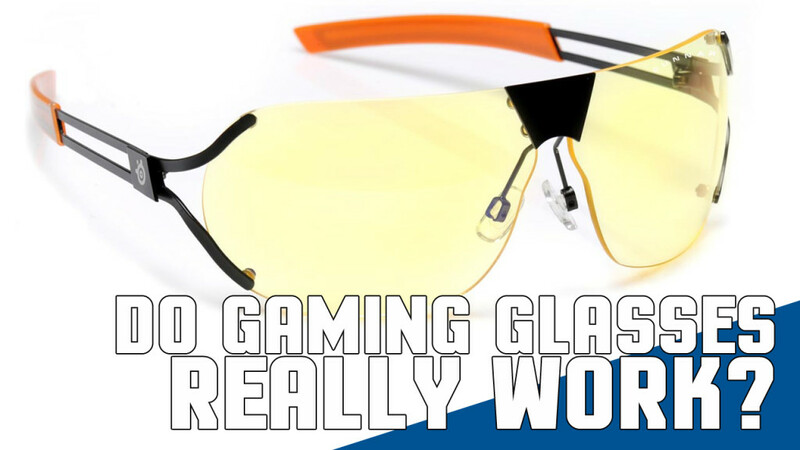 We take a look at some of the advantages gamers come across from wearing gaming glasses. I game whenever I can, but sometimes my eyes are simply too tired to do it. As someone who works 50 hours on a computer every week, it’s difficult on my eyes to have a hobby that requires that I be in the same place and stare at the same type of screen. When Gunnar announced that they were making glasses for gaming I had to take a look. Do they really make a difference? See my review for a few of my favorites below. Are Gaming Glasses Worth It? Admittedly gaming glasses aren’t for everyone. If you don’t find yourself with headaches or eye fatigue, then the price tag ultimately might not be worth it for you. If you do have these problems, then here are a few possible ways they can help. 1. Reduces the strain on your eye by reducing glare and improving how you focus. 2. Reduces dry eye and fatigue by reducing the stress on your eyes. The Glasses also have a curvature that limits the amount of air that is near your eye thus creating a more humid environment. 3. Amber Tint – The yellowish tint on these glasses shifts the color spectrum and allows you to see aditional contrast while sharpening details. After using a pair of Gunnar gaming glasses myself, I did notice a difference in the amount of eye strain I had by the end of the day. It certainly doesn’t eliminate my problem altogether, but it does make it more manageable. Did it make me a better gamer? Not yet. Was investing in a pair of glasses that helped me manage my eye strain worth it? Absolutely. In addition, these gaming glasses are compatible with your prescription. Ultimately, whether gaming glasses work for your eye strain may depend on the problem. For me, wearing regular glasses rather than my contacts each day has helped as well. What are your thoughts? Here’s a video where Jayz tests out Gunnar Optiks. If you’re thinking of purchasing some for yourself, this video might help as well.